Dr. Jose Arguelles reinterpreted the Mayan cycles in a modern context and named it the Dreamspell Calendar. Think of it as an energetic map of the self offering a living language of symbols and mythology. 2. Now that you know what your “Galactic Signature” is, you can find a wonderful interpretation excerpted from the book “The Mayan Oracle: Return Path to the Stars” by Ariel Spilsbury & Michael Bryner. To find the meaning of your Galactic Dreamspell name CLICK HERE FOR CHART OR ON IMAGE BELOW and you will be taken to another website that will have a chart like the image. Look for your name and click on it to read. I suggest printing it out because it’s long, but quite amazing. Enjoy! Can you please explain “I am guided by the power of death?” I find this particularly interesting, as I work at a children’s hospice. I am White Resonant Wizard too! 254 too! (Feb 01 1966) and I am with Leroux on the explanation! Perfect! Thank you DDD, that is very helpful and insightful. May I trouble you to explain the rest? Also if you may recommend any further reading? Hi Kat~ Did you get a chance to do STEP 2 to get your reading? If not here is the direct link for Blue Lunar Hand That will give you an in-depth reading into your Galactic Signature. Let your Soul discern the meaning…it’s symbolic language which like all symbols are multivalent. So I would feel in to how you think it applies to you ;) Enjoy! I’m perplexed by something. WHy is it that I get different readings from different Mayan symbol calculators online. How can I be sure which is correct? Hi Colee~ Yes I understand the confusion. This particular version, as I stated above comes from Dr. Jose Arguelles who reinterpreted the Mayan cycles in a modern context and named it the Dreamspell Calendar. It is not the “traditional” Mayan system, but it based on the Mayan cycles and Mayan cosmology. If you followed STEP 2 and click on your “Galactic Dreamspell” name then you go the entire reading which in my humble opinion is quite deep and cosmic. Hello, i am new to this but i find that this wisdom of the mayas were so fascinating, so i tried to check out my galactic dream spell, but can you simplify it for me, as to what is means? Appreciate it! Thank you. Hi, you need to click on the second link, find your Dreamspell in the chart and click on it. You will get a several page read. >>> I’m sorry everyone but I can’ t be giving analysis of these. Please use for your own enjoyment and discernment. Use what resonates. Blessings! This is amazing new information…thank you for sharing it! I was wondering what the compliment means, how it works? I am Red Spectral Serpent and the compliment is White Wizard. And thanks for your wonderful website, i read it a few times a week!! Thanks Mandi! Checked it out and it looks legit and like a wonderful offering. Thank you for sharing! Can you please elaborate on White Overtone Dog’s purpose? I read the description, but it seems weird to me that all I would be here to do is simply meet like-minded people? How can I find what career is best for me through this description? I haven’t worked in years because I’m sensitive and have lost touch with where to put myself. I’m looking for more insight into myself. 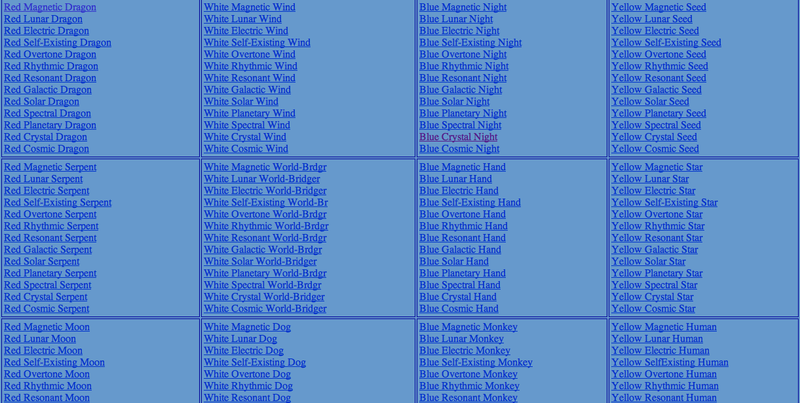 I will say I resonated more with the description of Blue Monkey, my subconscious self, but I’m not sure how to dig further with the main totem of White Overtone Dog. I’ve always been drawn to music, art, animals and metaphysics, but I’ve had a super hard time establishing any kind of career. Admittedly because I thought negative of myself. I’m cracking that code once and for all and seeing myself for the Divine person I am! :) Any suggestions, insights or advice would be most helpful and appreciated. Thank you for this site! Kin 239-	harmonic . Apparently I was born on a GAP day, making me a galactic portal. (this comes as no suprise to me, as I am known to be very ‘spacey’at times-lol) also listen to selected spiritual channeled info. & I am so grateful & blessed to realize most of the info is conformation .of ideas & concepts I innately nderstand & know. I learned TM 30 yrs ago & feel that helped me. tremendously also. I wanted to connect wne who can y journey-peace!! Sorry, I meant to say ‘connect with someone who could relate to my journey-I have’nt seen anyone get a reading that did not resonate with them strongly-Thank you for helping in the Ascension of the planet! I was not born before sunrise, I was born at 2am, so would I calculate for the day before? ^^^ Left this out. I have an identical twin brother that died at stillborn. 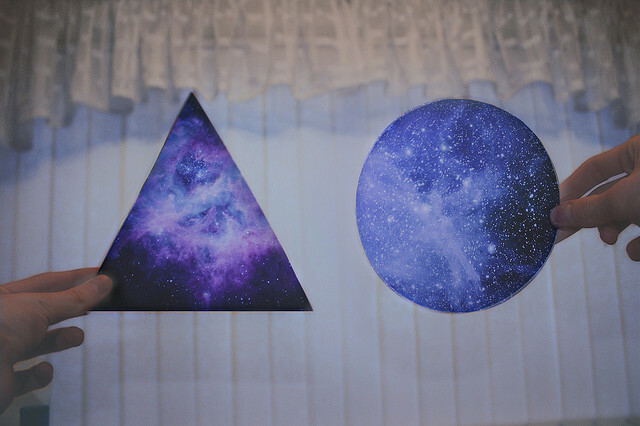 I’m on Earth, he’s in the Sky. I’m guided by him? Help me understand this? My husband is my “compliment,” and I his. I’m not sure what that means… I’d appreciate help with this interpretation. Thanks so much. Is there anyone that can help me to understand more about this role and how to attune myself to it? Thank you and the music was amazing that I listened too on the first page to find your clan.What an amazing gift to give knowing this information. Very relaxing and powerful.